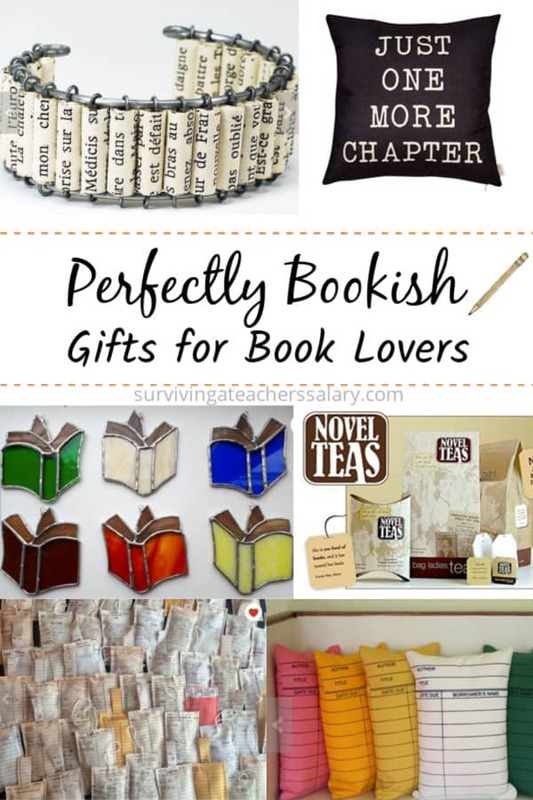 I am obsessed with book themed gifts and our Perfectly Bookish gift ideas below are the best unique gifts for book lovers you’ll find! Just scroll through and click on the ones you love to order them! If you have an Etsy shop that would interest someone who loves books or are in the educational field – feel free to drop a link in the comments below! I just started my Etsy shop myself this year which you can find at Curiosity Explored! Click on the image above to save this on Pinterest! Check out our DIY Notebook Paper Shoes Tutorial & Composition Book Cake Idea! FREE Wonder Park STEM Educator’s Guide, Poster & Activities The Grinch Family Movie Night with Kids + Craft Ideas 25 Good Kid-Friendly Podcasts for Kids to Learn Something From NEW Disney Fancy Nancy Disney Junior DVD Available! Disney Artemis Fowl Movie Trailer + Insider Access & Sneak Peeks DreamWorks Trolls Toys Unboxing Mystery Box + Season 4 on Netflix The Magical World of Books Come Alive at Universal Studios Conservation & STEM Technology in Disney Theme Parks Entertainment Goosebumps 2 Movie: Haunted Halloween Movie Trailer, Date, Poster NEW R.L. Stine HorrorTown Goosebumps App to Download! Secrets of Pixar: Making Baby Jack Jack and His Powers Incredibles 2 Incredibles 2 Movie Fun Facts, Insider Access and Exclusive Film Details Disney Pixar Short Film Bao: Meet the first Female Director at Pixar Disney’s DuckTales: Destination Adventure! on DVD Review Incredibles 2 Press Conference: Q&A with Movie Director and Producers How Did They Create Pixar Incredibles 2 Movie and Action Scenes Art, Math & Technology Behind Pixar Animation Studios Costumes Tips for Hosting a Magical Garden Tea Party for Kids Disney / Pixar Exclusive Insider Access to the Incredibles 2 Movie 2018 Movie Film Slate – AWESOME Movies Coming Out This Year!